Assign specific tasks to any members. 2. 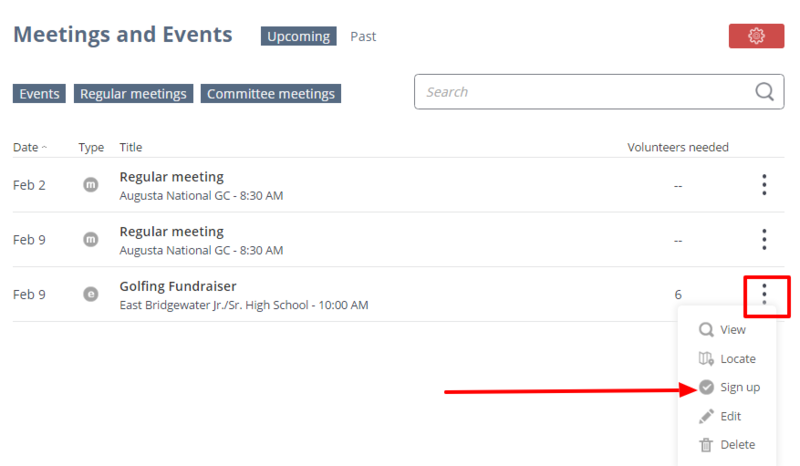 Locate any event that requires volunteers then click the dots to the right and click the Signup button. If the event has volunteer positions, the Signup button will show. 3. Select the Event tasks tab. 4. In the grid locate a task that needs to be assigned. Unassigned tasks will show the members icon in the Assigned to column. To assign an event task to a member, click the members icon. 5. In the Assign Task window, type the member name, select the name from the autocomplete textbox and click the Assign button.